Pressure Drop - Vic-Maui 2018 Wrap Up" Joy Ride Takes The Cake! Vic-Maui 2018 Wrap Up" Joy Ride Takes The Cake! While results are not yet official, it looks like Joy Ride will win Vic-Maui 2018 as the 1st Overall based on corrected time. Firefly wins Line Honours and 2nd Overall and Salient takes 3rd Overall. With all of the competitors now finished, it is clear that Joy Ride, a J-122e owned by John Murkowski and sailing for Seattle Yacht Club, will be the Overall Winner of Vic-Maui 2018. This is John and Joy Ride's first Vic-Maui, but they have already won the Round Saltspring Race this year. Joy Ride completed the course in 13d 2h 59m and corrected out 3h 6m ahead of Firefly. Winning Line Honours is Firefly, also a first time Vic-Maui participant. The Morris Ocean Series 45 owned by Bob Strong and also sailing for Seattle Yacht Club has looks, comfort and varnished teak that belies her flat out speed, Firefly finished with a time of 12d, 21h, 41m and also is 2nd Overall and 2nd in Division 1. Third Overall and First in Division 2 is Salient, Christof Marti's Beneteau First 40.7, sailing for Vancouver Rowing Club. While both Salient and Christof are Vic-Maui veterans, this is a new combination for Christof as a skipper and new owner. Salient finished the course in 14d 0h 40m with a corrected time of 13d 1h 54m. 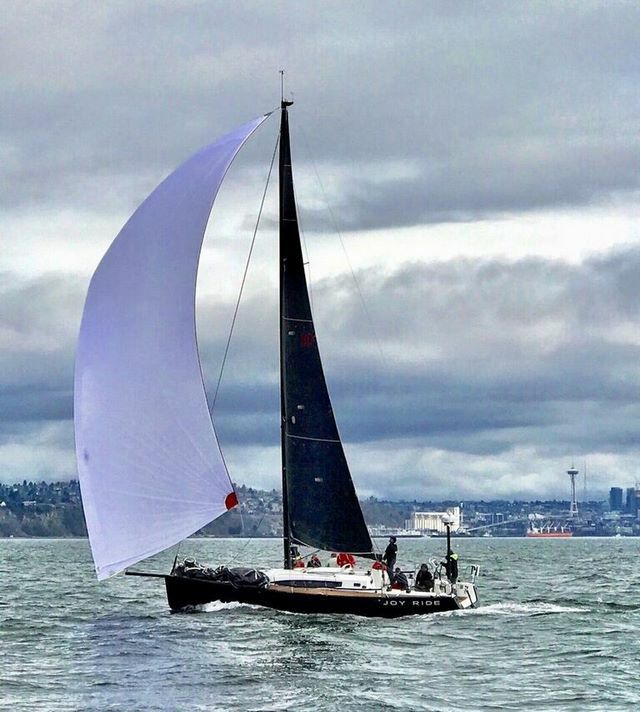 Second in Division 2 is Kraken, also a Beneteau First 40.7, sailed by Mark and Annette Malacek for West Vancouver Yacht Club in their second Vic-Maui. Kraken finished a mere 24 minutes behind Salient, and ended with a corrected time of 13d 3h 5m. First to Finish in Division 2 was Turnagain, Beneteau Oceanis 50, sailed by 3 time Vic-Maui veteran Travis McGregor for Royal Vancouver Yacht Club. Doug Frazer's Swan 39 Oxomoxo from Seattle Corinthian YC with a corrected time of 13d, 14h, 54m and Clayton Craigie's Beneteau First 40 from Richmond YC with a corrected time of 13d 21h 26m rounds out the Racing fleet. With Gemini's Dream safely back in Victoria, the only survivor from the Cruising Class was Serenite, Victor Mushkatin's Beneteau Oceanis 46 sailing for the Sloop Tavern Yacht Club.